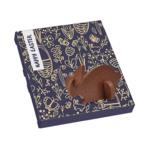 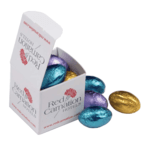 If you are looking for the perfect chocolates to tie into an Easter promotion, then our promotional Easter eggs are a timeless classic. 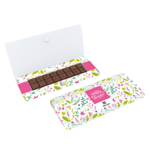 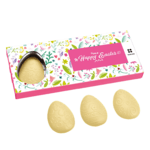 Enjoyed by people of all ages, chocolate Easter eggs and their packaging offer great branding opportunities and will put a smile on your customer’s face. 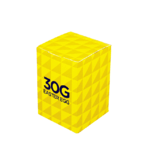 Choose from a variety of sizes and packing options. 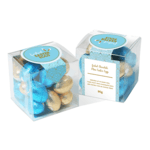 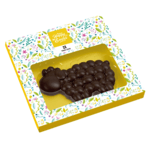 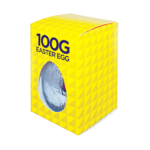 As well as promotional Easter eggs we can also supply other chocolates shapes and novelty packaging including chocolate mini eggs, coated speckled eggs, chicks and bunnies as well as an assortment of sweets including jellys in boxes and tubes. 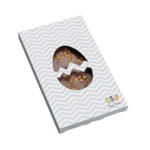 Easter is probably the biggest marketing holiday in the year after Christmas and so provides a great opportunity to kick start or re-energise your marketing before you hit the summer period. 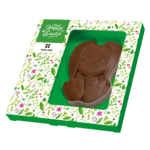 Off course the biggest thing Easter is associated with aside from its religious significance is the chocolate. 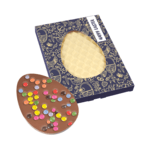 What is the lead time for Easter confectionery? 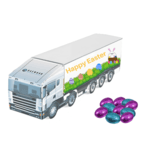 Easter delivery dates typically range from 7 to 20 working days. 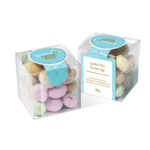 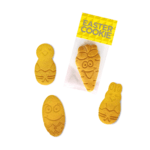 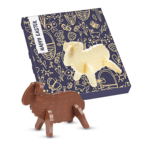 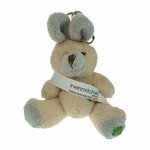 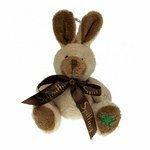 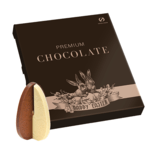 We have a wide variety of Easter products with express and standard delivery. 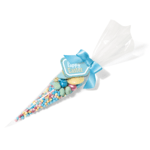 Use the filter buttons on the Easter page to select the delivery time that best suits your needs. 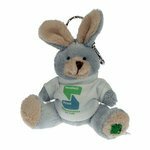 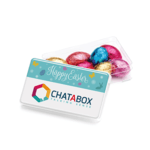 Promotional Easter Bugs are available with faster delivery times from 5 working days. 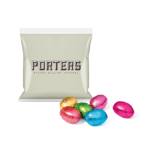 Large pouches filled with foil wrapped milk chocolate eggs are possibly available from as little as 7 working days. 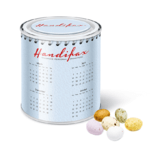 When is the deadline for Easter products? 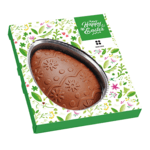 A select number of products including the 18g, 30g and 100g chocolate Easter eggs have a deadline date of the 8th March. 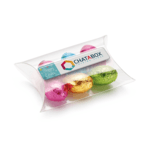 This allows our production team sufficient time to print and produce your products. 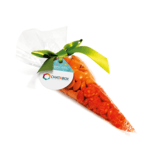 It is best to get your orders in as soon as possible to guarantee delivery. 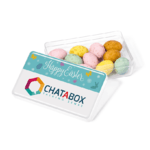 An express charge may be applied to late orders. 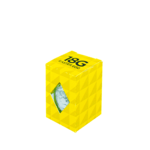 Please note this does not apply to all products. 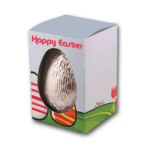 During Lent, eggs, milk and meat were banned by the church. 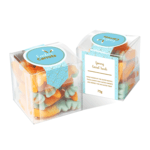 Preserving food during this time proved difficult. 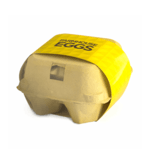 Unlike meat and dairy, eggs do not perish quickly. 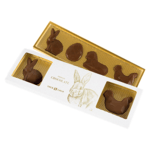 Therefore they were the obvious choice for breaking the fast on Easter Sunday. 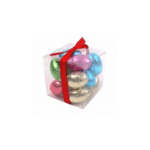 Decorating and presenting eggs became a popular custom because of the surplus that would exist by Easter.